This hotel is 1.7 miles from the Beaumont Botanical Gardens and 8 miles from Beaumont Municipal Airport. It serves a daily buffet breakfast and features spacious rooms with free WiFi. 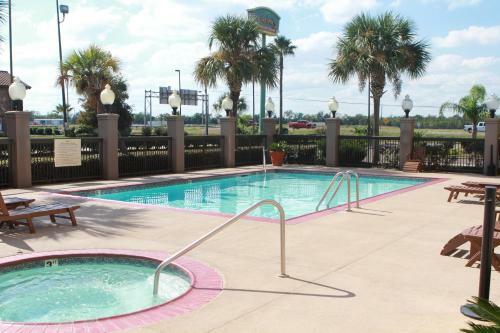 Free access to the outdoor pool and gym is provided to all guests of the Hampton Inn Beaumont. The business center has fax/copy services and parking is free on-site. A cable TV and coffee machine are standard in every room at the Beaumont Hampton Inn. Decorated with white linens and carpeted floors, all rooms include a work desk and ironing facilities. Downtown Beaumont is 10 minutes away and features a variety of museums including the Art Museum of Southeast Texas and the Fire Museum of Texas. Please note carrying a weapon on hotel premises is prohibited and violators may be subject to arrest for criminal trespass under applicable law. Guests are required to show a photo identification and credit card upon check-in. Please note that all Special Requests are subject to availability and additional charges may apply. 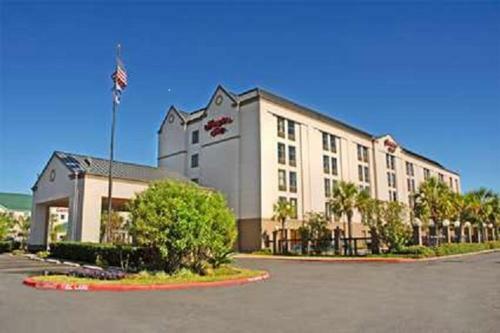 the hotel Hampton Inn Beaumont so we can give you detailed rates for the rooms in the desired period.